We have hundreds NEW, USED AND REFURBISHED parts ready for dispatch. We take great pride in what we do and all parts are cleaned prior to dispatch. Dispatch is within. MINI MARINA A35 A40 ETC ETC ETC. MORE OR LESS ALL A AND B SERIES ENGINED VEHICLES. WE REQUIRE PHONE NUMBER FOR ALL ORDERS PLACED. MARSHALLS BANK. MGZT / MGZT-T V6. Set of 6 Genuine MGRover Patinum Spark Plugs. MGRover Part #NLP100290. To replace L10S, L86C. MG "Midget" TC. Spark Plugs. It should not be altered / tampered with/used. NOT included. Model: MG MG ZS. The ultimate spark plug with its iridium center electrode and an Iridium ground electrode. Ideal for long service intervals or an upgrade from standard copper platinum or Iridium spark plugs. WE REQUIRE PHONE NUMBER FOR ALL ORDERS PLACED. FIND US ON THE INTER WEBB. MG3 / MG6 SPARK PLUG SET. THESE ARE SUITABLE FOR ALL MG3 AND MG6 PETROL MODELS. We have hundreds NEW, USED AND REFURBISHED parts ready for dispatch. We take great pride in what we do and all parts are cleaned prior to dispatch. POLISHED ALUMINIUM 4 CYLINDER SPARK PLUG HOLDERS A3/4. A PERFECT ENGINE BAY MODIFICATION FOR STORING SPARE SPARK PLUGS. NOTE PLUGS NOT INCLUDED. CAN BE BOLTED VIRTUAL ANYWHERE! SUITABLE FOR ANY 4 CYLINDER CAR! MG ZT 180 2.5 6CYL motor afinado 2001. Genuino Bujías NGK Iridium IX. - Aleación de iridio tiene un punto de fusión muy alto. IVA: GB886141895. 1 AÑO DE GARANTÍA cubierta defectos de fabricación. Para que la política de retorno que se adhiere a la necesidad del artículo ser devuelto nos completa y en él es condición original. 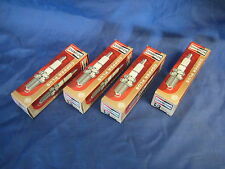 Set of 4 Genuine MGRover Platinum Spark Plugs. MGRover Part #NLP100290. NGK Spark Plugs PFR6N-11 3546 x4 Fits MG ZR 160 1.8l. Genuine MG Motor part, number NLP000130. MG3 AND MG6 SPARK PLUGS. To fit all models of MG6 Petrol and MG3. GENUINE MG MOTOR PART. Iridium tipped. If there are any parts you are after for your MG or MG Rover that you need, give us a try. Basic Number (1 to 99) ~ Heat Range ~N5 C. First Suffix (A-Y) ~ N5 C. Spark Plugs. know your spark plugs - original symbols. New Copper Plus Design. Set of Four. Check out the. NOT included. 4 X NGK PTR6F13 Platino Chispa Bujías FORD MONDEO III también Rover, MG, etc. MONDEO III (00-->07) 1.8 CGBA,CGBB,CHBA,CHBB / DURATEC-HE SFI Not SCi 10/00 –> 08/07. MONDEO III (00-->07) 2.0 CJBA,CJBB / DURATEC-HE SFI 10/00 –> 08/07. 4-4 3.0 Mondeo ST220 04 –>. ZT 260 4.6 46F2F / FORD V8 09/03 –>. Mg ZS 120 1.8 01 - 18K4F NGK Laser Platinum Bujías X 4 PFR6N-11 ! nuevo! Engine Type: 18K4F. Short Code: 3546. Model: ZS 120. NGK SPARK PLUGS FOR CARS > NGK LASER PLATINUM SPARK PLUGS. Product Version: LASER PLATINUM. Product Type: SPARK PLUG. Ground Electrode Material: PLATINUM. 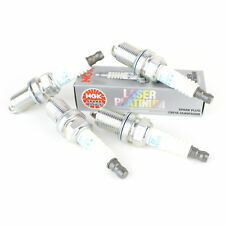 5 de 5 estrellas - MG ZS 120 1.8 01- 18K4F NGK LASER PLATINUM SPARK PLUGS x 4 PFR6N-11  NEW! 1 Valoración de producto1 valoraciones de producto - MG ZS 120 1.8 01- 18K4F NGK LASER PLATINUM SPARK PLUGS x 4 PFR6N-11  NEW! MGF Convertible, 1589cc, DOHC, 16V, Petrol, 110bhp 16K4F 02/2000 - 08/2002. MGF Convertible, 1796cc, DOHC, 16V, Petrol, 118bhp 18K4F 09/1995 - 08/2002. MGF Convertible, 1796cc, DOHC, 16V, Petrol, 143bhp 18K4K 11/1995 - 08/2002. Engine size; 2912cc. Years covered 1967 to 1969. These are High Quality Spark Plugs from Bosch. MG ZR & MG ZS & MG ZT & MG ZT-T. To fit various Rover/MG models 16v K-series engine. 1.4 1.6 1.8 16v K-series. 1.6 1.8 16v K-series. 1.4 1.6 1.8 16v K-series. 1.8 16v K-series. Head gasket sets – Head gasket, inlet exhaust gaskets, rocker cover gasket, valve stem seals various smaller paper gaskets/rubber o-rings. MGF / MG TF 1800CC INC VVC MODELS 143 AND 160. MG ZR 1400, 1800 INC VVC. MGF / MG TF 1600CC. We have hundreds NEW, USED AND REFURBISHED parts ready for dispatch. MG ZS 1600, 1800. K SERIES HEAD BOLT SET. In doing so, Bosch is able to call on its more than 111 years' experience in the industry, and its unique cross-system expertise in automotive technology. 4 x Bosch Super Plus spark plugs. Quality that sets the benchmark: Bosch spark plugs. MG MGF 1.6 02/00 –>. MG MGF 1.8 95 –>. MG MGF 1.8 01 –>. MG ZS 110 1.6 07/03 –>. MG ZS 120 1.8 01 –>. MG ZR 105 1.4 01 –>. MG ZR 120 1.8 01 –>. MG ZR 160 1.8 01 –>. Model: MG MG ZS. Twin Iridium: The ultimate spark plug with its iridium center electrode and an Iridium ground electrode. Ideal for long service intervals or an upgrade from standard copper platinum or Iridium spark plugs. MGZS / Rover 45 V6. Set of 6 Genuine MGRover Patinum Spark Plugs. MGRover Part #NLP100290. Please read full listing description carefuly before you order to make sure the part does fit your car. 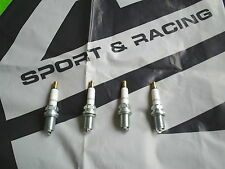 - ROVER MG ZR 105 1.4i 16V BOSCH SUPER 4 PERFORMANCE UPGRADE SPARK PLUGS SET OF 4. Mg MGB 3.5 V8 NGK Bujías estándar de 73-76 X 8 BP5HS  Nuevo en Caja! Manufacturer Part Number: BP5HS. Short Code: 4111. Model: MGB. NGK SPARK PLUGS FOR CARS > NGK STANDARD SPARK PLUGS. Product Type: SPARK PLUG. Ground Electrode Material: NICKEL. Centre Electrode Material: NICKEL. 4 de 5 estrellas - MG MGB 3.5 V8 73-76 NGK STANDARD SPARK PLUGS x 8 BP5HS  NEW IN BOX! 1 Valoración de producto1 valoraciones de producto - MG MGB 3.5 V8 73-76 NGK STANDARD SPARK PLUGS x 8 BP5HS  NEW IN BOX! MG Midget Mk2. LUCAS "Style" BLACK. Cap screws (twists) onto lead. It should not be altered / tampered with/used. NOT included. Engine Size: 1622cc. These are High Quality Spark Plugs from Bosch. Years Covered:1960 to 1962. MG Midget Mk 1. to make it water resistant. NOT included. ZS 2.0 8 VALVE TD 08/02 –>. ZR 2.0 8 VALVE TD 06/01 –>. If you are unsure of the part number you need the NGK U.K Part-Finder can be found at. 620 2.0 20T2R,20T2N (Intercooled) 10/95 –> 99. LAND ROVER. To fit Various Rover 2.0 and 2.5 24v engines. 45 Series Saloon, 1991cc, DOHC, 24V, Petrol, 148bhp 20K4F 11/1999 - 07/2003. 75 Series Estate, 1991cc, DOHC, 24V, Petrol, 148bhp 20K4F 03/2001 - 04/2004. 75 Series Estate, 1991cc, DOHC, 24V, Petrol, 148bhp KV6 03/2001 - 04/2004. MG Magnette Mk III. MG Magnette Mk IV. Spark Plugs. know your spark plugs - original symbols. NOT included. A ~ 2 Earth Electrode. First Suffix (A-Y) ~ N8 B.